On 11.07.2018 the first two Pesa Link DMUs for DB Regio have entered (test) passenger service. 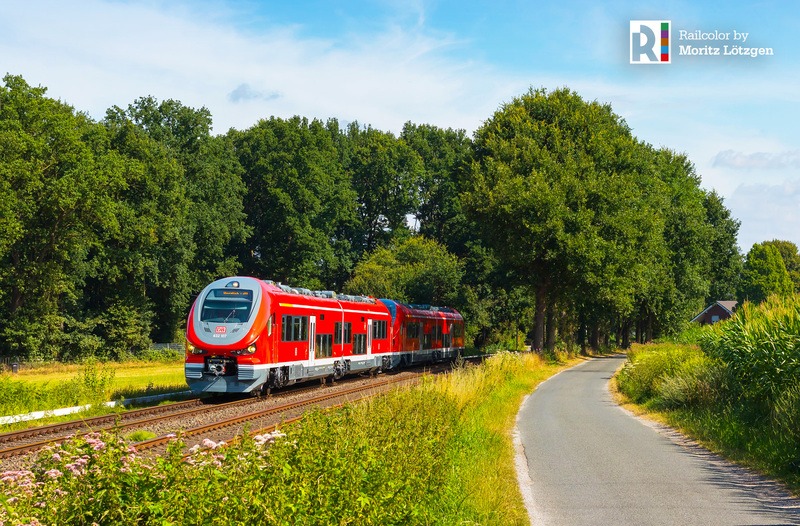 Unit 632 107/607 and 108/608 are the chosen ones that are now operated on several Regionalbahn (RB) services part of the Sauerland network in the west of Germany. The new ‘sharkies’ – a nickname originating from similar trains used in the Czech Republic – are based in Dortmund and from there they run to places like Lüdenscheid, Dorsten, Fröndenberg, Neuenrade, Unna, Menden and Iserlohn. Recently, the German authorities (EBA) granted Pesa/DB Regio permission to start revenue service with the 2-car Link DMUs (632). The 3-car version is still awaiting approval. For the Sauerland network Pesa is delivering 20 2-car and 16 3-car DMUs, which were ordered in 2013.